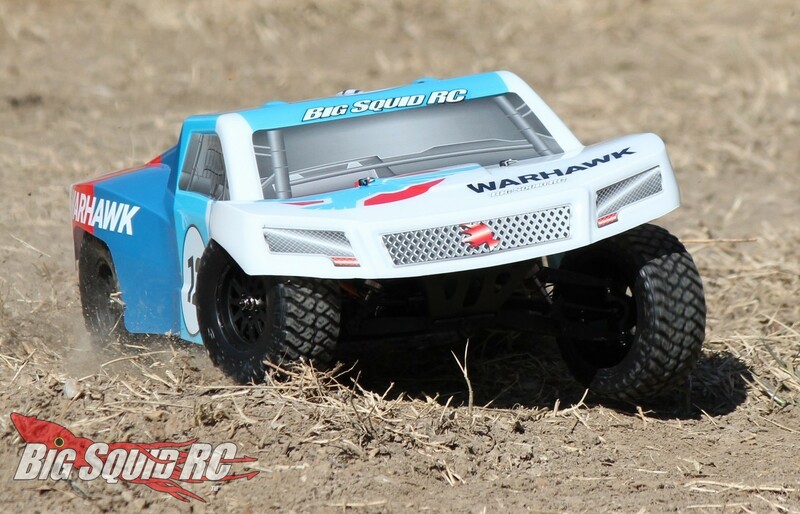 Product Spotlight- Force RC Warhawk 4WD Short Course Truck « Big Squid RC – RC Car and Truck News, Reviews, Videos, and More! 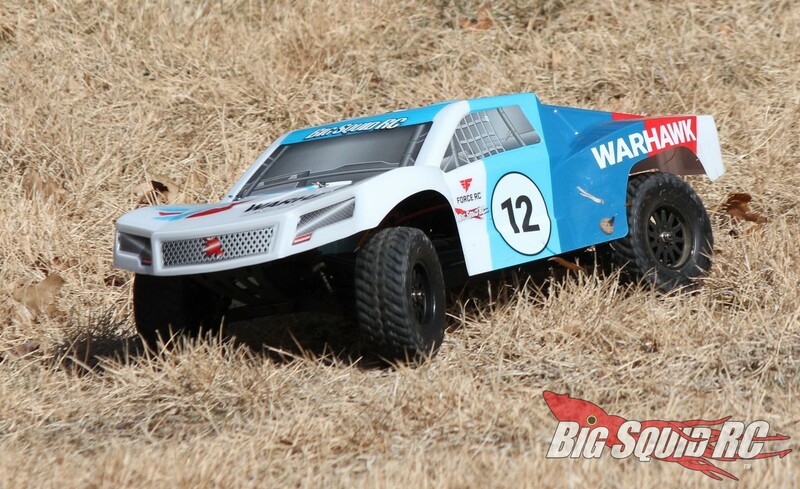 Introduced last fall by Force RC was the Warhawk 4wd short course truck. The Warhawk comes as a RTR, but it is best known for its ultra-low $139 price point. 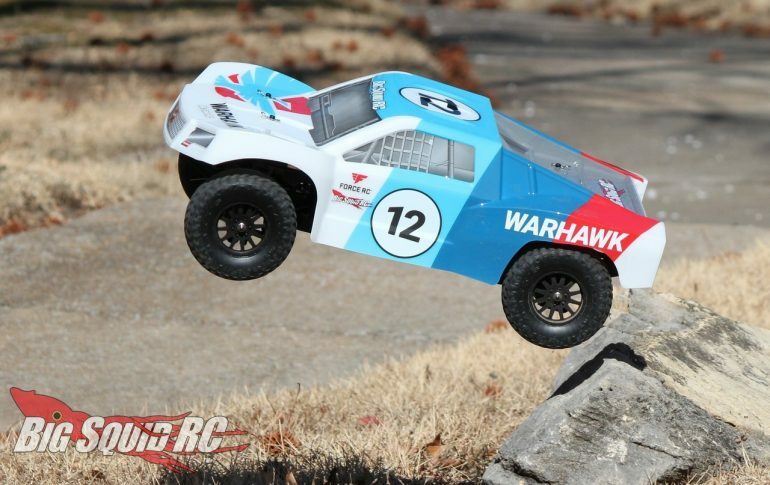 Over the last few weeks we’ve have the opportunity to test drive the Warhawk, here is a short product spotlight to help you learn more about it. What’s Needed To Complete: Not very much at all, just grab four AA cells and insert them into the transmitter. After that, charge up the supplied NiMH for the truck and you are ready to bash. 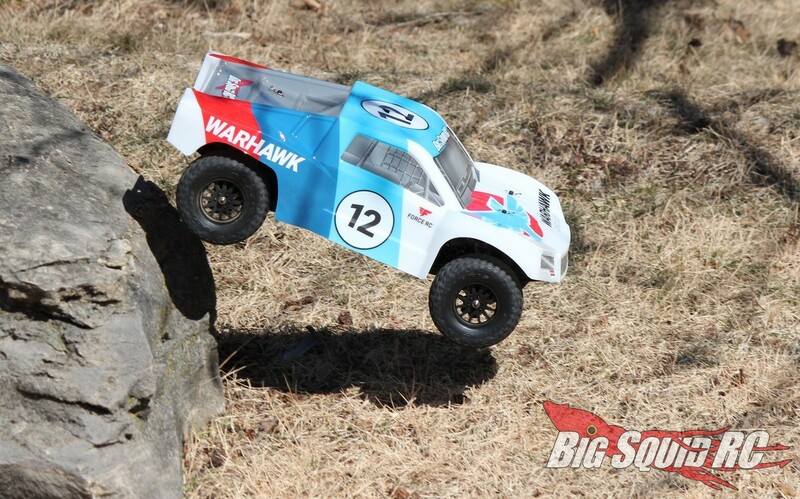 Build Quality: We could find no faults with the assembly quality on the Warhawk. Test Drivers: T-$$$, Robbie G., Sam Da’ Noob, and yours truly. 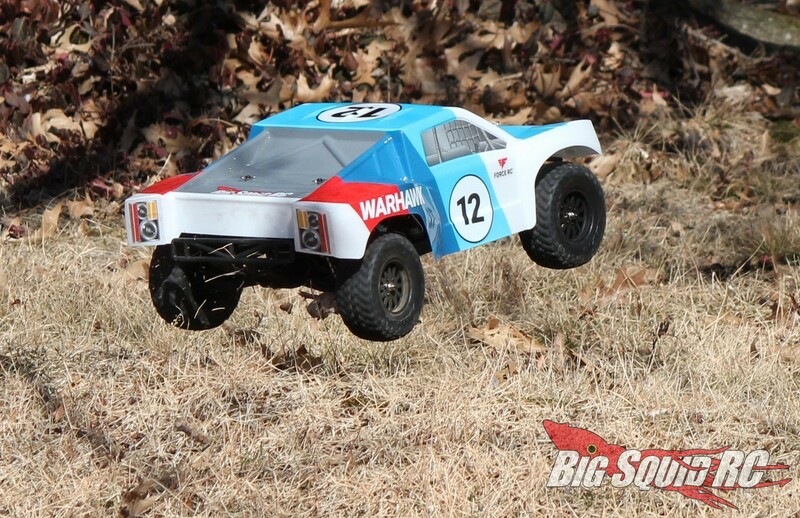 Set-up Notes: We ran the Warhawk bone stock as far as chassis settings went. 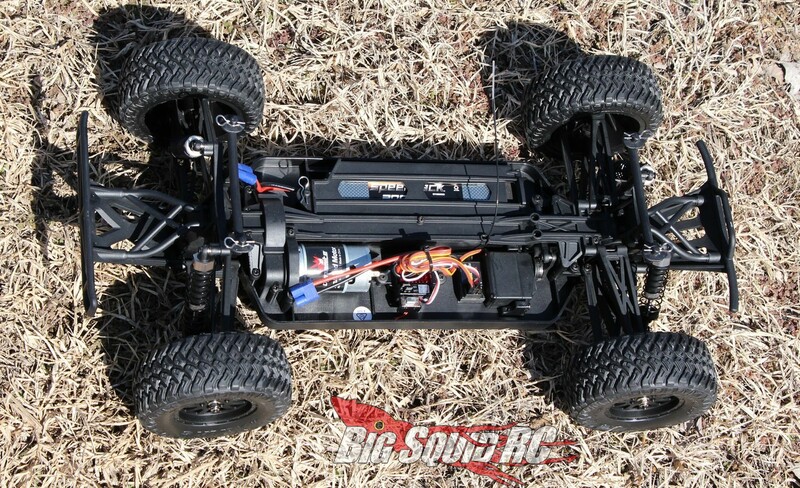 The big change that we made was using a Dynamite LiPo battery instead of the included NiMH. 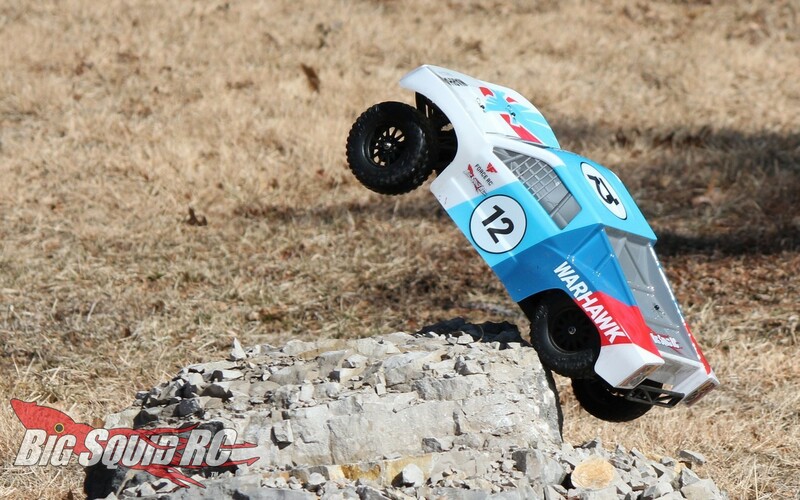 Handling: We found that the Warhawk got around really well. 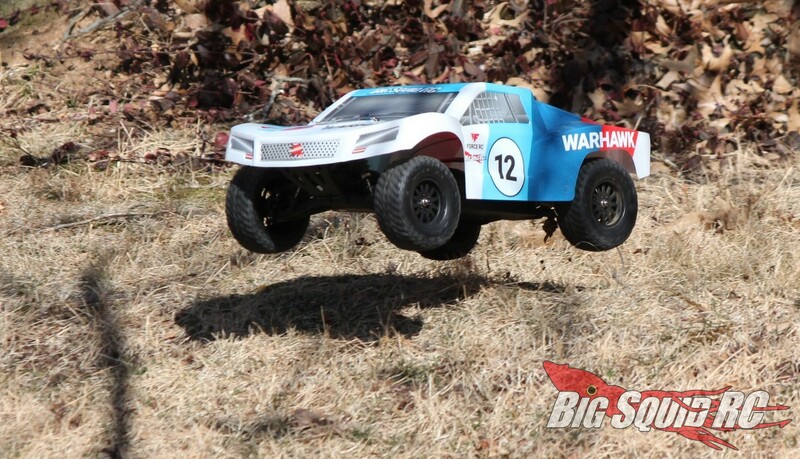 Its 4wd system and very capable stock tires did a solid job for the Warhawk in grass, loose dirt, and over rocks. 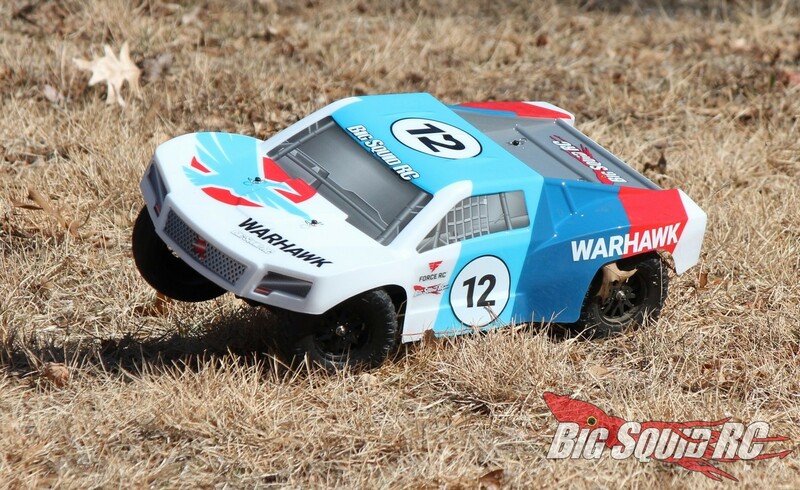 The truck would traction roll occasionally when driven hard in the corners, but as far as RTR trucks go, the Warhawk did a fine job. 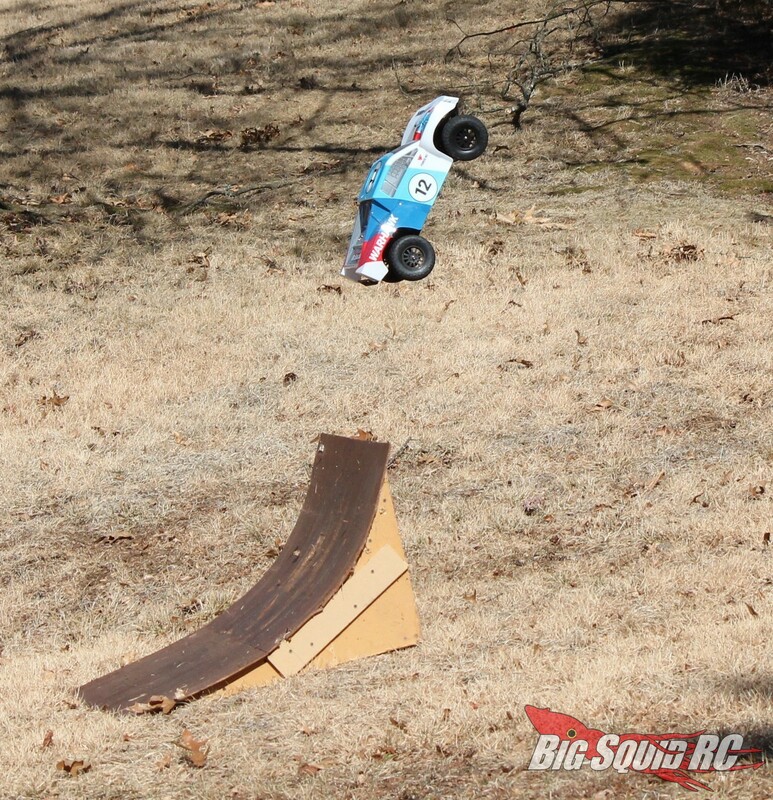 Its suspension settings were a bit on the soft side, but not drastically out of the ballpark. 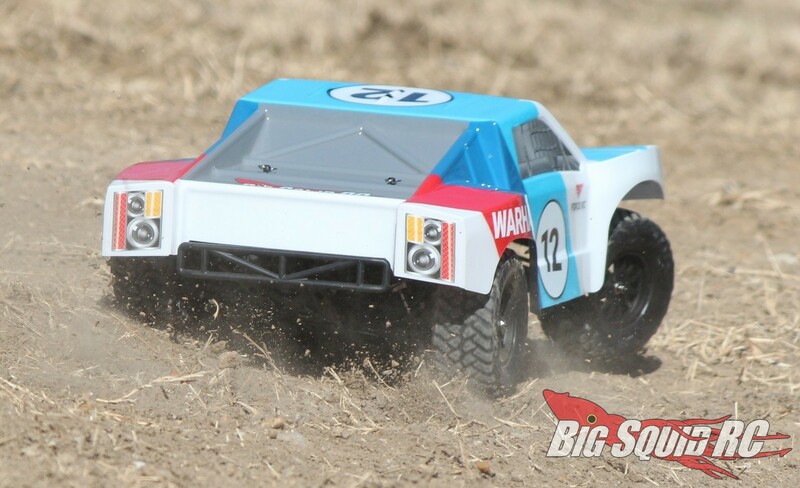 While trucks like the Losi SCTE 2.0 are considered the best handling in the class, the Warhawk’s suspension and general geometry allow it to be easy to drive for noobs, while still being aggressive enough for long term hobbyists. Tires: Yup, we are big fans of the stock tires. The Maxxis Razr MTs did an above average job in light loam and in grass. They also did a fine job in rocks and in deeper loam. While not designed for pavement, they worked just fine and showed little wear. Power: For first time or new drivers, the stock 15 turn brushed motor is pretty much spot-on for power. It is soft off the bottom, has a smooth mid-range build, and tops out early at 23 mph. Yes, there is more than enough raw wattage on tap to throw serious roost, do donuts, etc. 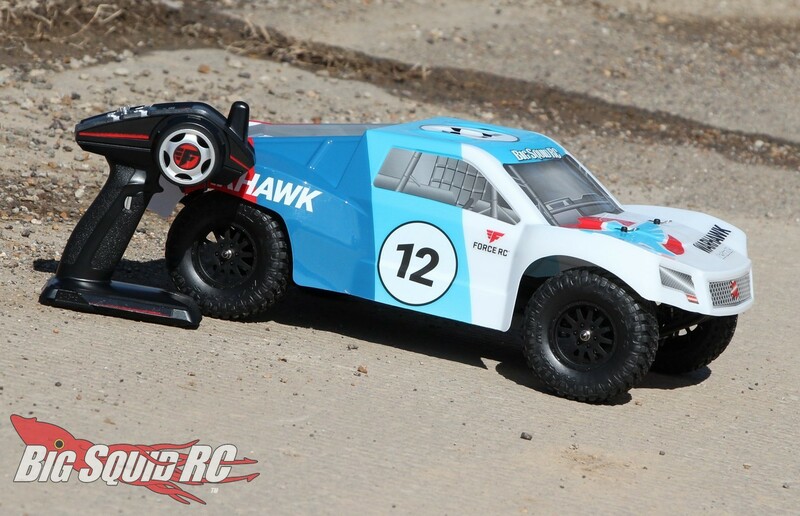 Radio: We have never used the Force RC radio before, so we were stoked to find out what it was like. In a nutshell, it works fine for an RTR radio. No, it is not anywhere near a Spektrum DX6R for performance or ergonomics, but the included unit worked fine for our bash crew. 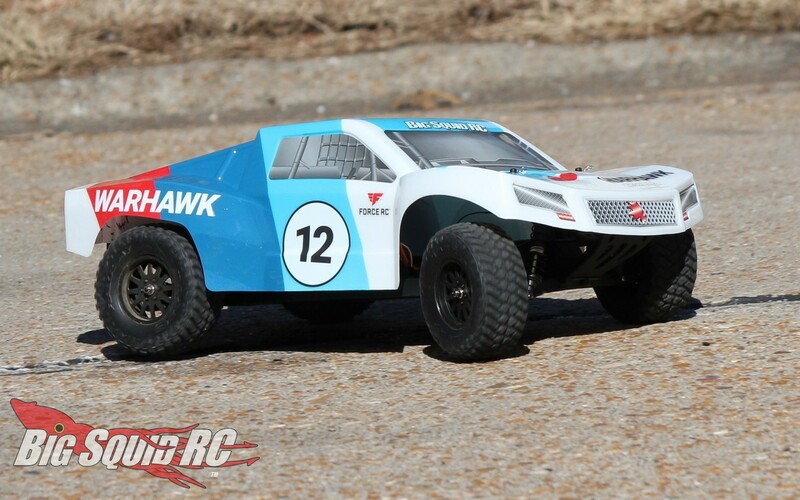 Force RC products are only available from Horizon Hobby Online, so you’ll need to click that link above to find it. 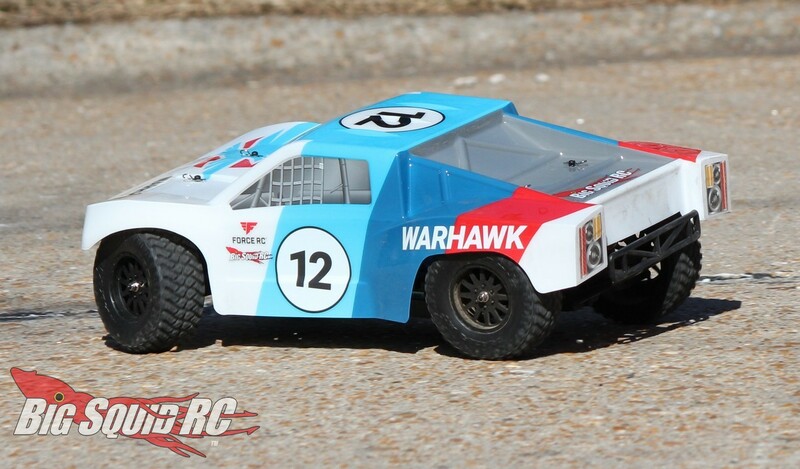 The Warhawk is available with two different paint schemes. There is the number 12 livery that was on our test unit, but there is also another body that is primarily purple to chose from. An EC3 connector comes standard, so keep that in mind when buying upgrade packs. The truck comes with a pair of large bumpers to ward off breakage, a great thing on an entry level style machine. 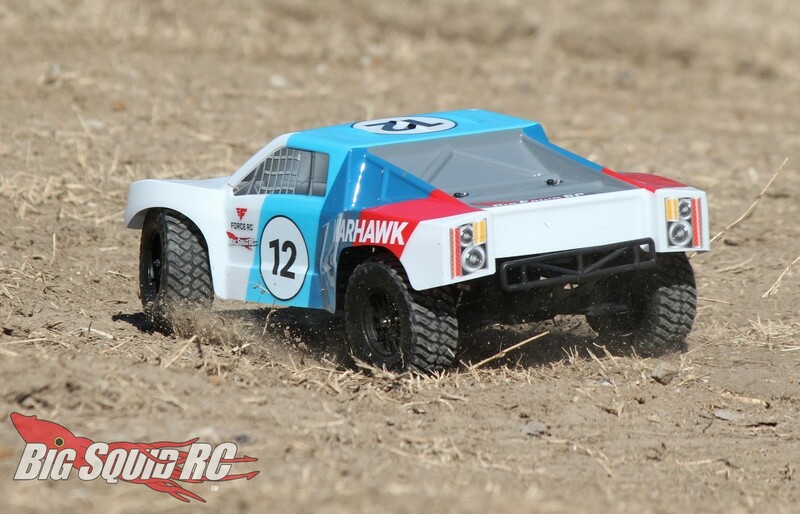 Summary: The Force RC Warhawk is great fun to bash with. 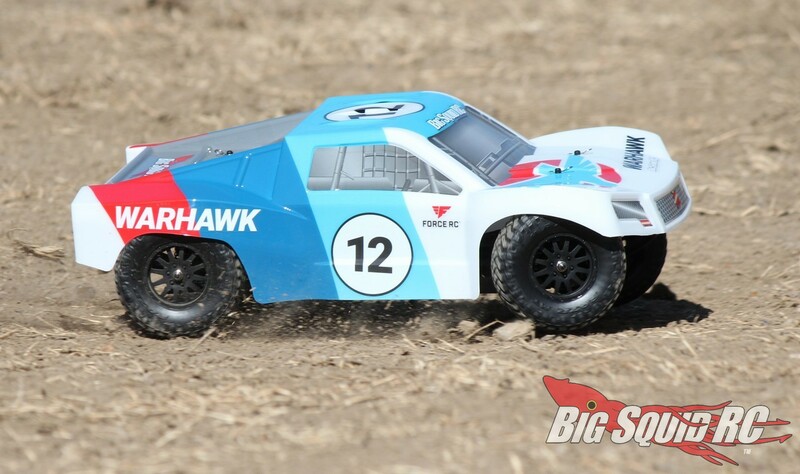 With an astonishingly low price point and capable 4wd system, if you are looking for an affordable bash machine, be sure to check out the Warhawk.